Disclaimer: The information on this page is intended for individuals who have been medically diagnosed with elbow tendonitis. If you suspect that you have elbow tendonitis then it is important to visit a qualified medical professional in order to rule out any other possible causes prior to considering any advice or treatment option. Backed by a ‘Hassle Free Money Back Guarantee’? If you are suffering from tendonitis elbow pain then like most individuals it is very likely that you answered yes to at least one or more of the above questions. 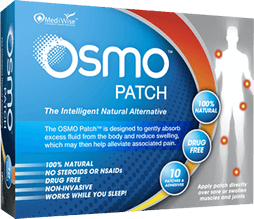 Then deciding to use the OSMO Patch in combination with adequate rest may be one of the most important decisions that you will make towards becoming free from elbow pain and taking back control of your health TODAY!